(CNN) The Chico Mall has everything you’d expect to find there during the holiday season — non-stop Christmas music, trees and oversized ornaments, along with signs advertising great deals for increasingly frenzied shoppers. 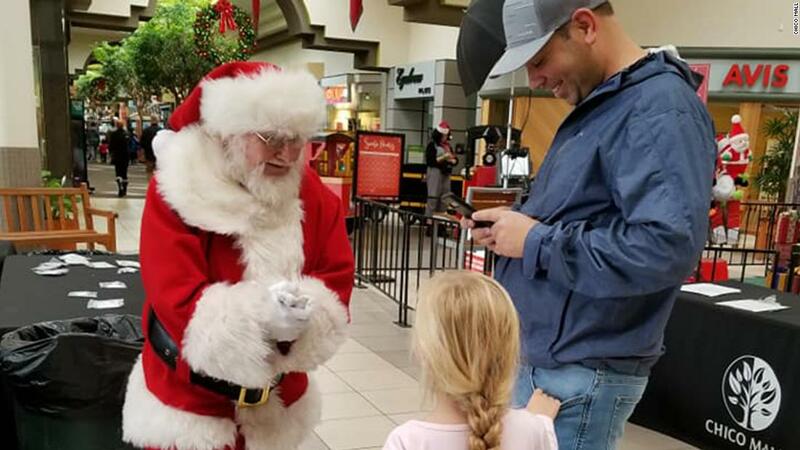 While they’re at the mall to sign up for benefits or take care of other business, a lot of parents are bringing their kids to meet Santa Claus, said Jim Hoskins, the Chico Mall Santa. The Kentucky native, who said he’d prefer you call him Santa, has a gentle voice and a kind smile. He ended his interview with a quick “Ho, ho, ho” as he hung up the phone. He said you’d never know that many of the children he’s met had lost their homes. The kids’ basic needs have been taken care off, thanks to FEMA and the generosity of the community, Hoskins said, so they’re asking Santa for dirt bikes, iPhones, Paw Patrol toys and something called L.O.L Surprise dolls. But many of them do ask for something that Santa can’t give — a home. 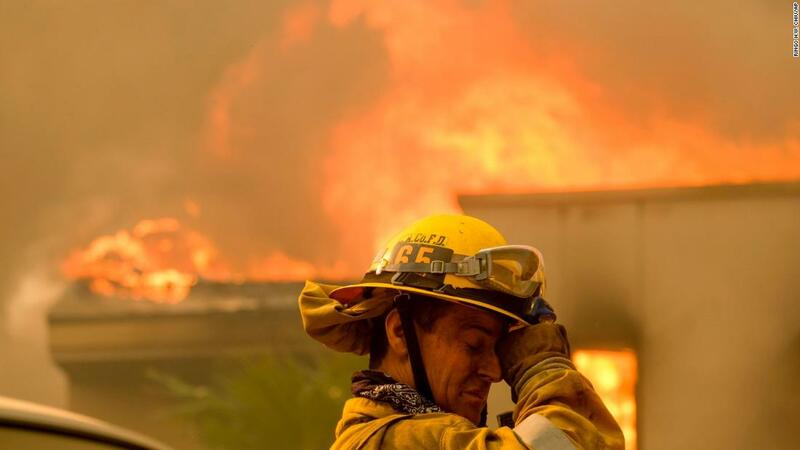 He said some children have been concerned that Santa wouldn’t be able to find them since their homes have burned down. He says they don’t need to worry about that. Kylie Wrobel took her 7-year-old daughter, Ellie, to see Santa on Saturday. The first thing she asked for was toys for her dog, Daisy. Wrobel said she only grabbed her cell phone charger before leaving her Paradise rental house. 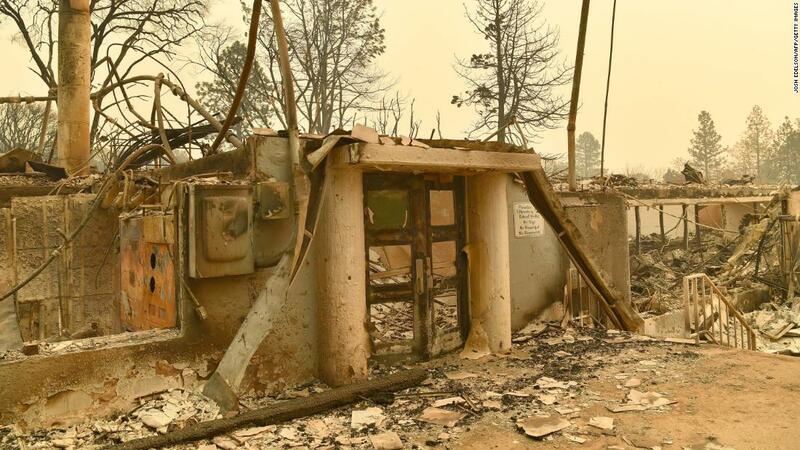 She didn’t have rental insurance, so they lost everything. 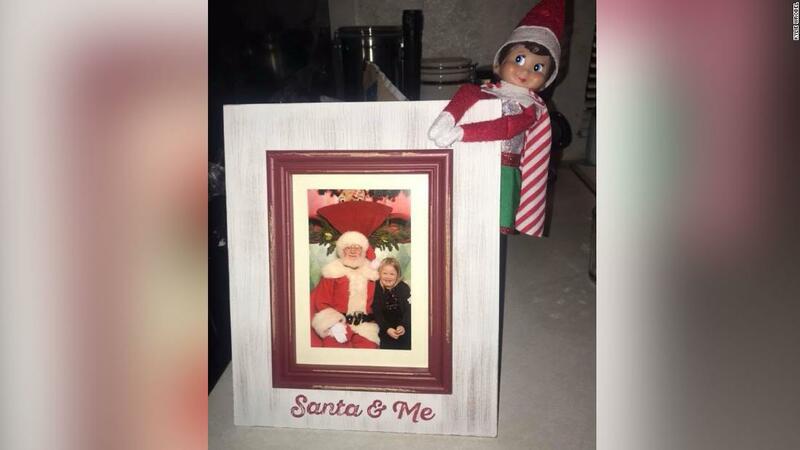 Wrobel usually takes a picture of her daughter and Santa on her phone instead of buying one from the mall, she said, but this year’s photo was really cute — and it’s the only hard copy photo they have now. Kathleen Mahnke said that Santa waved at her twin boys, who are about to turn two, as they they were walking through the mall to the FEMA center. She said she also appreciated the mall offering half off the photo packages for people who went through the fire. Hoskins says he’s amazed by how resilient the children and their parents are when he meets them. “I see more positive outlooks and attitudes than I do negative,” he said.